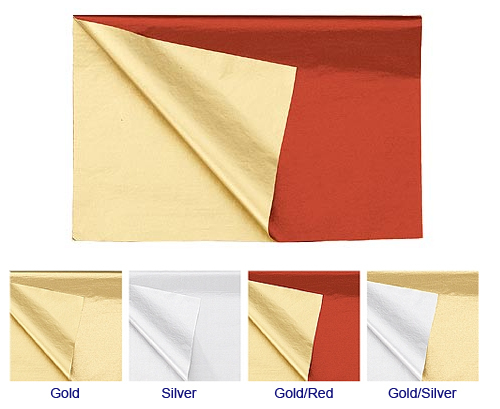 It is better to choose double sided metallic tissue paper to add a luxurious final touch to your shopping bags, gift bags, and gift packages ,coming in gold, silver, gold/red, or gold/silver color. The size of Double Sided Metallic Tissue Paper is 20 x 30 ", packed 480 sheets in a ream. Add a personal touch to your packaging – imprint your logo! We offer custom hot stamp foil printing on our solid tissue paper.